This comprehensive online class includes more than two hours of sports massage detailing 13 sessions that will give you the tools to work with runners, cyclists, swimmers, tennis players and other athletes. Learn about the physiological principles that govern sports massage and the differences between each sport. The 13 sessions include a pre-event massage for runners, an inter-event massage for tennis players, and a post-event sports massage session for cyclists. The other sessions are detailed sequences for the following injuries: plantar fascitis, shin splints, ITB syndrome, hamstring strain, neck pain, back pain, ankle sprains, patellar tendonitis, tennis elbow and the rotator cuff. Each session is a complete treatment protocol that will help to keep your athlete in top shape, recover from injuries, and improve their performance. This class also includes information on stretches, sport psychology, diet, and how to set up a massage station at a sporting event. This lesson discusses how to set up and organize a massage station at an athletic event. It also demonstrates the various basic techniques that are used in this class, including compression, broadening, friction, petrissage, compressive effleurage and tapotment. This lesson discusses the goal of pre-event sports massage along with tips on working with athletes before an event. Next this lesson demonstrates a pre-event style massage for a runner. You can then apply these techniques to other types of events. This lesson covers delayed onset soreness, the cool-down period and things to be aware of while working with athletes after their event. Then a sports massage routine for cyclists is demonstrated, including work not the neck extensors, wrist flexors, quads, hamstrings and calves. This type of massage is applied between events. Molly shows how to determine which type of massage to do, and what not to do. This includes which questions to ask and how to structure the session. Then she demonstrates a inter-event massage for a tennis player that includes work on the back, gluten, hamstrings and quads, calves, pecs and general arm. This lesson offers 4 suggestions in working with athletes in terms of psychology. 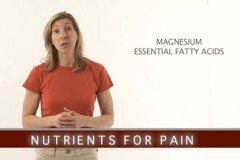 Molly also discusses basics of diet that will support the healing process and how to decrease inflammation. 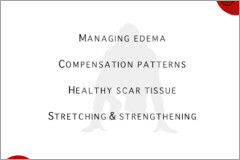 This lesson covers how injuries heal, and the role of sports massage in injury prevention. She discusses the stages of healing and how the therapist can support healing. When to refer to another practitioner is also covered. This lesson demonstrates how to perform sports massage for runners who have plantar fasciitis, shin splints, ITB syndrome or hamstring strain. Each technique is clearly shown with detailed explanation and description. This lesson demonstrates how to perform sports massage on cyclists who have neck pain or patellar tendonitis. 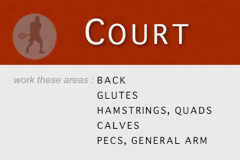 This lesson shows sports massage techniques for court sports. 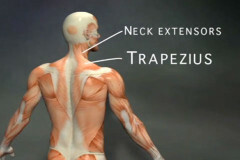 Specifically, techniques for ankle sprain, lower back pain and tennis elbow are demonstrated. This lesson demonstrates how to perform sports massage on rotator cuff injuries. This includes effective work on the subscapularis, serrates anterior, pectoralis major, latissimus dorsi, and more.